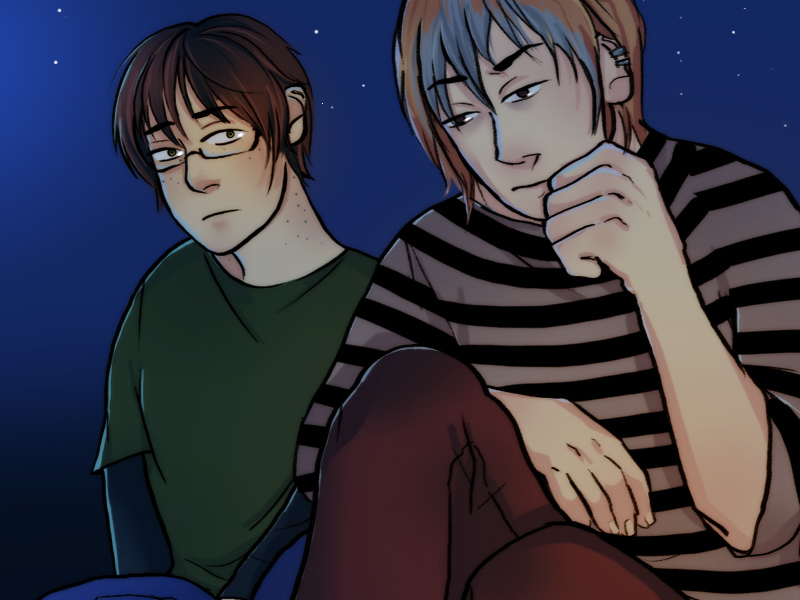 Forget-Me-Not is a free online visual novel about two teenagers, Emmett and Michael, and their relationship over the course of time. 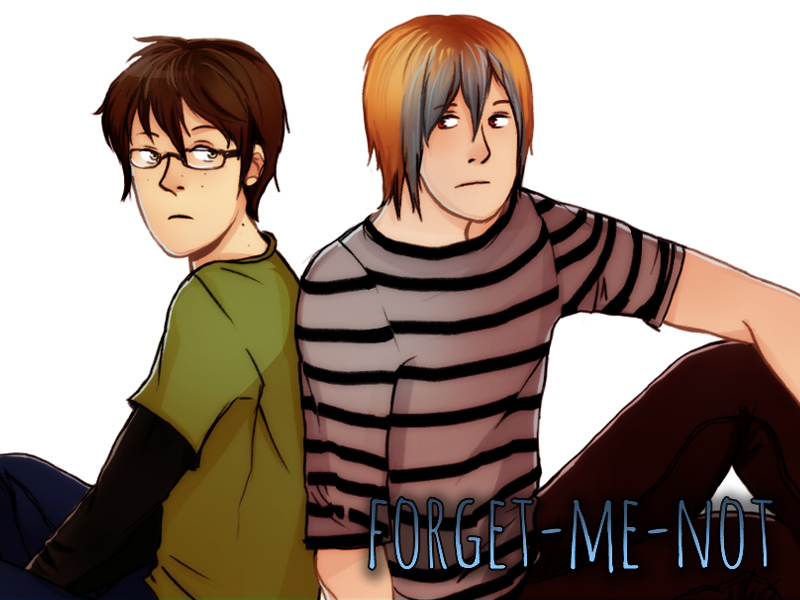 Forget-Me-Not is a free BL visual novel about two teenagers, Emmett and Michael, and their relationship over the course of time. 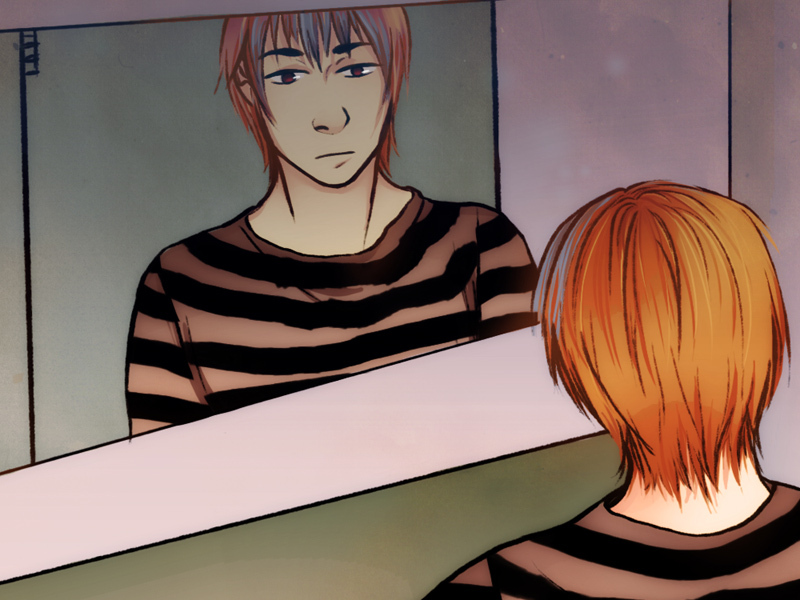 The dreamlike memory of the boy became so blurred to him, that when the same boy transfers into his homeroom sophomore year, he doesn’t recognize him at first! 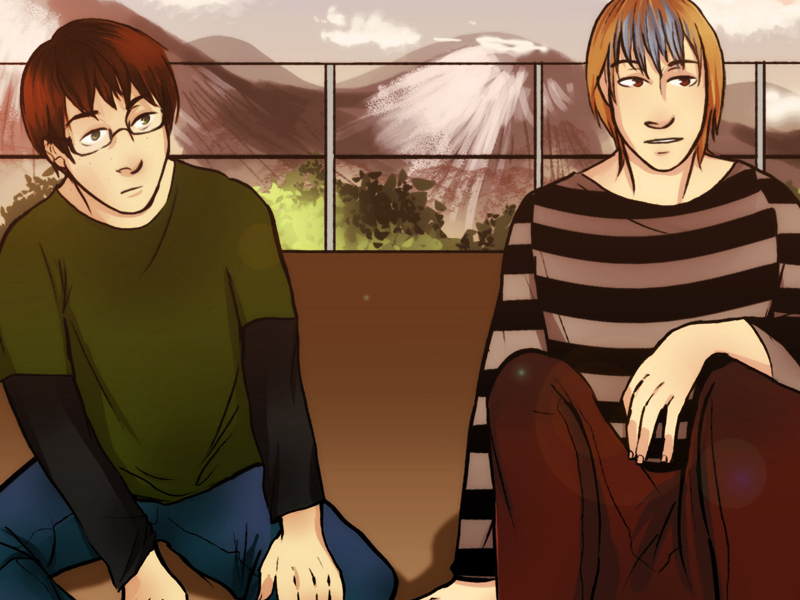 They rekindle their friendship, which they quickly become close friends…to something a little more than friends. 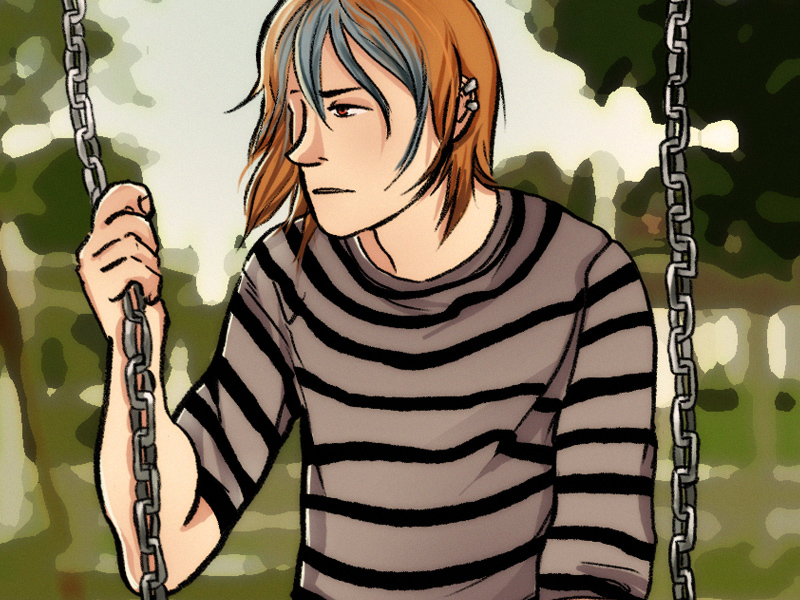 Emmett feels content with the way things have gone for them, but he can’t ignore the strange feeling that something isn’t right with Michael. 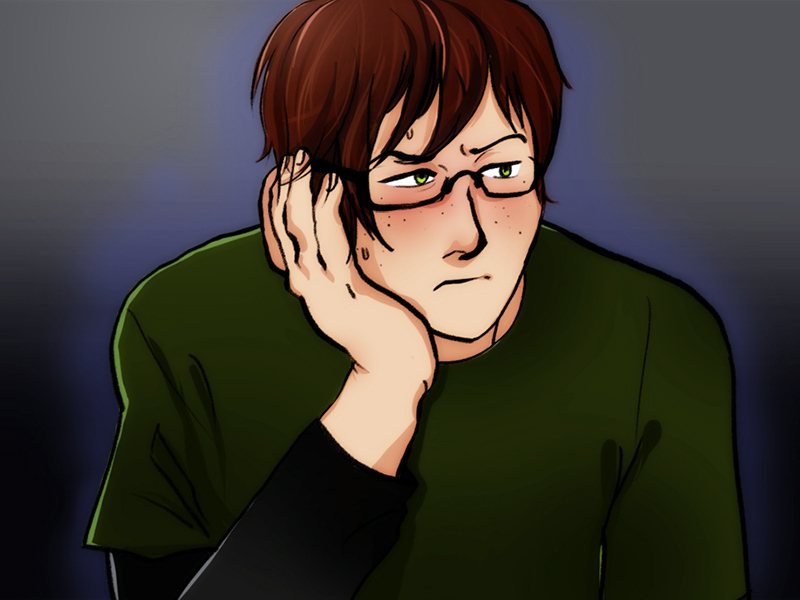 There are things he doesn’t know about Michael, even coming so far in their relationship, that he can’t figure out so easily. What isn’t Michael telling him? Be warned, there are some things in this game that may not be suitable for everyone!!! Though there is no visually explicit or detailed scenes, there are some parts of the game where certain sensitive subjects are addressed (ie: drugs, violence, depression, and mentioning of sexual abuse). If you are unsure about having to read something about that, please don’t force yourself to play this game. If you can't get all the ends, you can find a walkthough here. A visual novel is an interactive graphical novel. During the adventure, the player will have to make choices that will have impact on the outcome of the story. It is the video game version of the choose your own adventure books. Sandbox Adventure is a new online visual novel engine. It is responsive and works on any device connected to internet (desktops, tablets and mobiles). More than twenty visual novels are available for free on the game portal. While the game was originaly released in 2015 as a downloadable application made with Ren'Py, Forget-Me-Not has just been ported to HTML5 thanks to this engine. A web version is therefore available HERE. The game is free and full HTML5 so there is no need to download or install anything. You do not have to register to play the game.